WASHINGTON — Despite a recent wave of layoffs and a five-week partial government shutdown, companies remain optimistic about the overall prospects for the space industry in the coming year. During a panel discussion organized by the Space Foundation here Jan. 30, executives from companies ranging from a launch startup to an established satellite operator talked up the state of the industry and their belief that it is poised for much faster growth in the near future. “This is an extraordinary time,” said Courtney Stadd, director of government affairs for small launch vehicle company Vector. He cited comments made at a recent event by Gen. Jay Raymond, head of Air Force Space Command, who called the current period an “inflection point” for the industry. “I think what we’re witnessing in 2019 is a convergence of technologies, low cost, market changes, and so forth,” Stadd said. The year, though, has not started well for the industry. A five-week partial government shutdown that ended late Jan. 25 stopped all but critical activities at NASA, the Federal Aviation Administration, Federal Communications Commission and the National Oceanic and Atmospheric Administration, all agencies that are involved in civil or commercial space activities. Panelists acknowledged that the shutdown did hurt them. 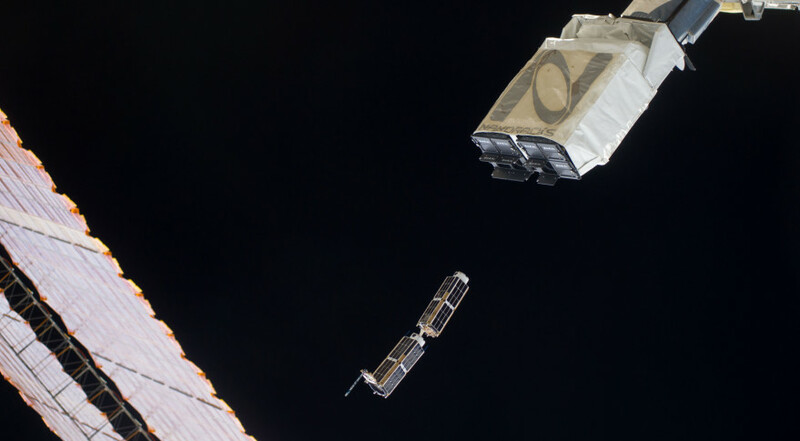 “We felt a pinch,” said Andrew Rush, president and chief executive of Made In Space, a company developing on-orbit manufacturing technologies on the International Space Station. He said the company, which does a lot of business of NASA, had a capital reserve it could rely on. For other companies, the shutdown delayed communications and launch licenses. “When you have shutdowns in the government, things that would take a fairly lengthy amount of time take even longer,” said Rebecca Cowen-Hirsch, senior vice president of government strategy and policy for Inmarsat Government. Stadd said that the shutdown will likely delay the release of a notice of proposed rulemaking for revised launch regulations intended to streamline the overall licensing process. Those draft rules were scheduled to be published by the FAA Feb. 1. ‘The jury is out as to what the collateral effects of the shutdown will be,” he said. The first few weeks of 2019 have also seen several companies announce layoffs, including SpaceX, Stratolaunch and Virgin Galactic. Panelists, though, did not see those layoffs as a sign of a broader space industry downturn. Panelists, though, said some markets might be too much of a stretch for even a growing space industry. During a question-and-answer session, one audience member asked about the prospects of asteroid mining given that two companies that had been pursuing it, Deep Space Industries and Planetary Resources, were recently acquired. “For asteroid mining or space resources utilization, it’s even more important to be very disciplined about how you approach the business model and whether this is the right time,” said Rush. He argued that the work his company is doing to make activities in low Earth orbit more sustainable can stimulate demand in the future for space resources.